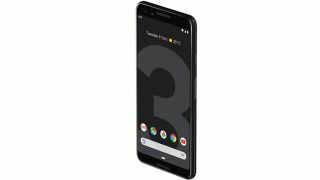 Find all the best Google Pixel 3 deals right here. When it launched late in 2018, Google's Pixel 3 quickly won over a legion of admirers thanks to its industry leading camera. It's no exaggeration to say that if you're after snazzy little snapper on your phone, you currently can't do any better than this rather special device. If you're tempted to splash out on this phone, you've come to the right place. You'll find the best Google Pixel 3 deals available right now on this very page. Our handy price comparison tool will help you sift through the best offers, and what's more, you can narrow your search by contract, SIM-free, and SIM-only packages. If you're not quite sold on the Pixel 3, take a look at our guide to the best camera phones for designers to help you decide. Hardware can be overtaken fast, but the Google Pixel 3 is still number one when it comes to mobile phone cameras, despite being released in November 2018. The strength of its camera is undoubtedly the main draw for creatives who want to take eye-popping pictures while out and about without one. Basically, if you don't want to splash out on one of the best cameras for creatives currently available, this is the phone for you. So what's so special about the Google Pixel 3's camera? On the face of it the Google Pixel 3 might not blow you away, given that it packs a 12.2MP rear camera with a single lens and an f/1.8 aperture. However it's Google's machine-learning software that sets this camera apart from the competition. With the help of Google's Pixel Visual Core chip, users can take sharper, crisper and brighter pictures than the likes of iPhone XS or Samsung Galaxy Note 9. Additions such as Top Shot and Night Sight are there to pick the best pictures and take nighttime snaps respectively. And while there's no telephoto lens, the Super Res Zoom is a decent workaround, especially when you take into consideration that it's backed up with optical image stabilisation. Somehow the Google Pixel 3 squeezes all this photographic firepower into a hand-friendly size. And with a 5.5-inch OLED screen that builds on the strong foundation of its predecessors, this device is a slick force to be reckoned with. Admittedly it falls a bit short of its rivals when it comes to battery life and storage, but when the camera is this good, we're willing to turn a blind eye to these niggles.